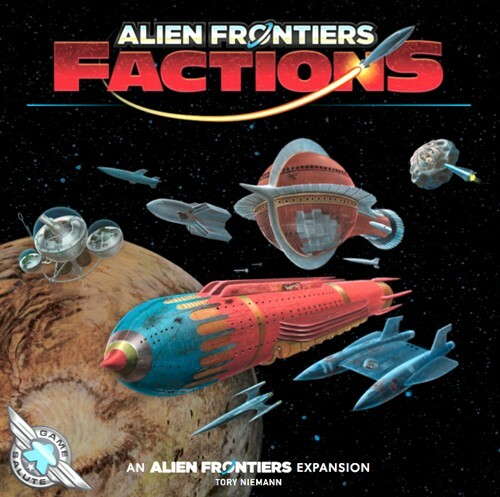 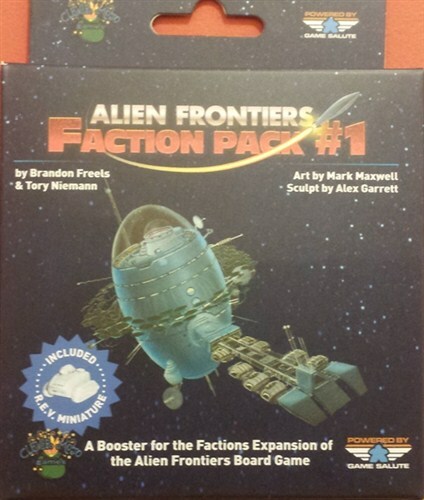 Alien Frontiers Faction Packs 1 - 4 ready to open and add to your game, you need the Factions Expansion to enjoy these packs. 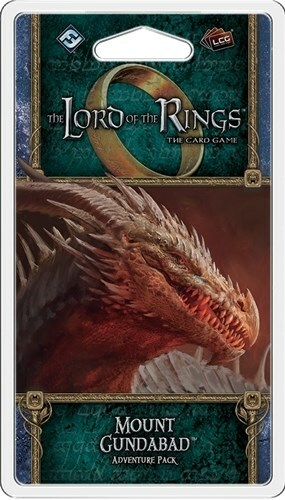 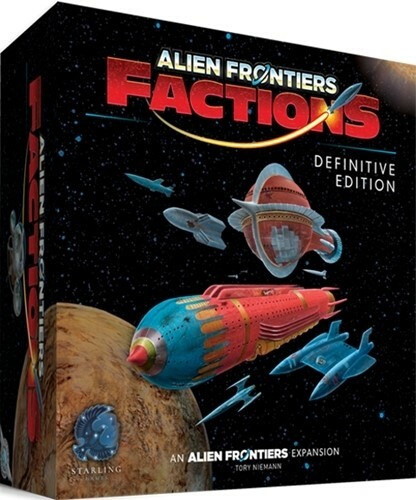 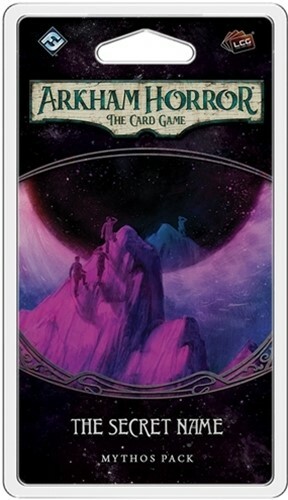 The first Alien Frontiers Expansion Boosters that will expand the Alien Frontiers: Factions Expansion. 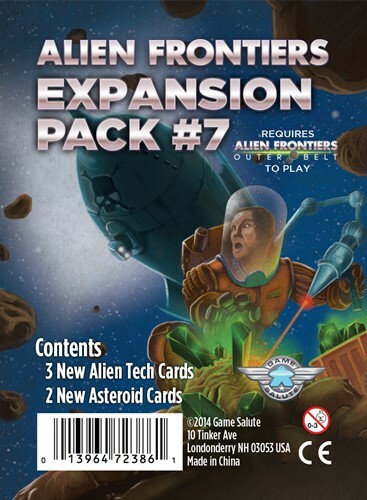 Each booster will contain a new Faction board, a pair of new Alien Tech cards, and any extra components that might be needed. 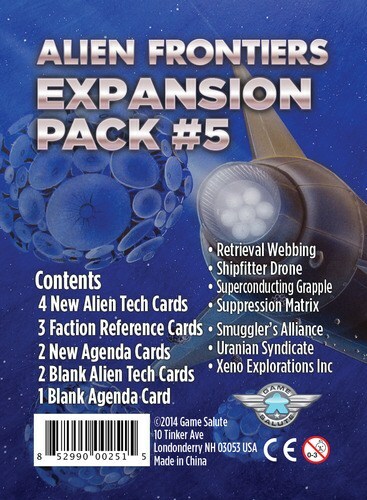 Faction Pack #1 contains equipment for Xeno Explorations, Inc. 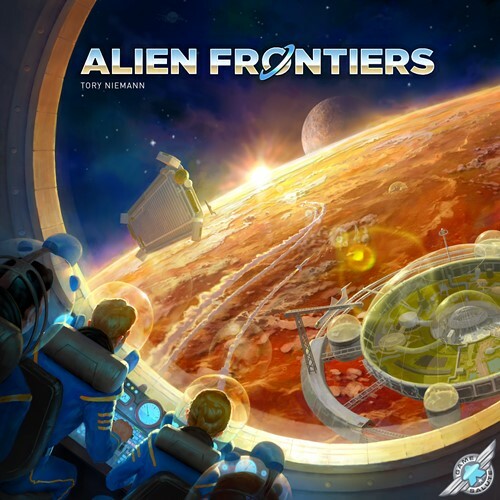 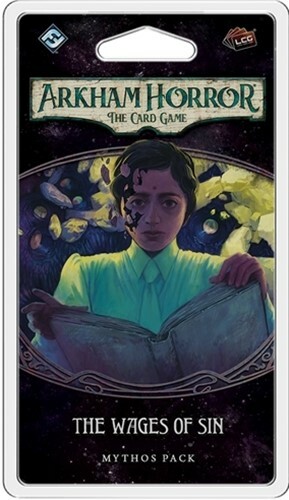 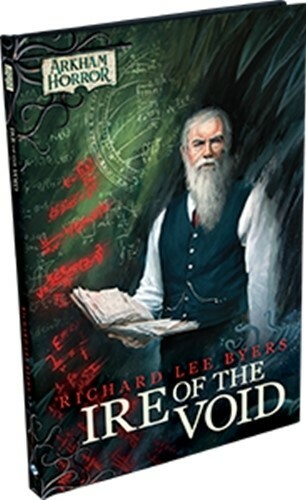 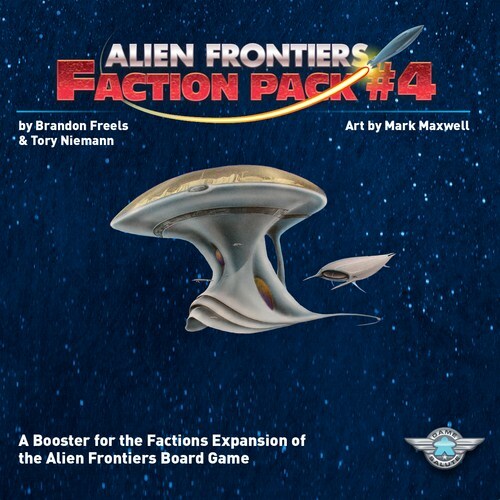 The long awaited Faction Pack adds 1 Faction Board, 1 Alien Tech Card and 2 Agenda Cards plus the rulebook to use them to your games of Alien Frontiers. 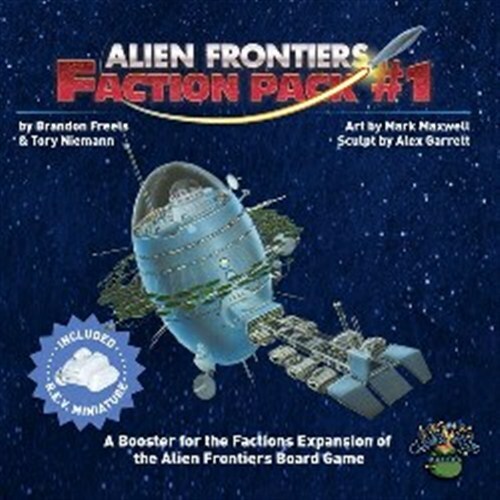 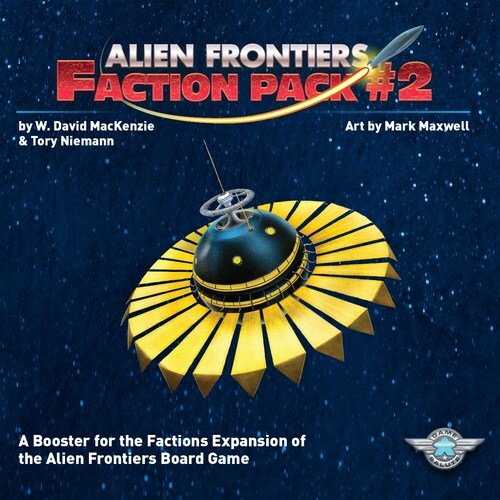 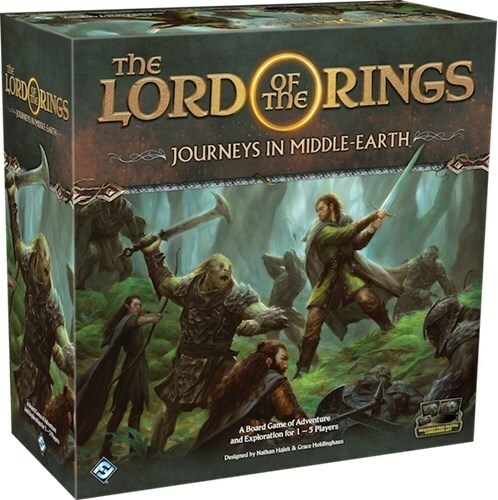 The long awaited Faction Pack adds 1 Faction Board, 1 Alien Tech Card plus 2 Agenda Cards plus the rulebook to use them to your games of Alien Frontiers. 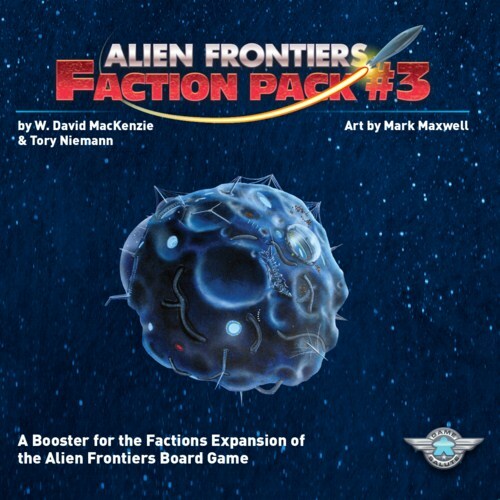 This Faction pack also comes with 2 custom dice: a standard D6 and a rocket dice compatible with the 4th Edition of Alien Frontiers.